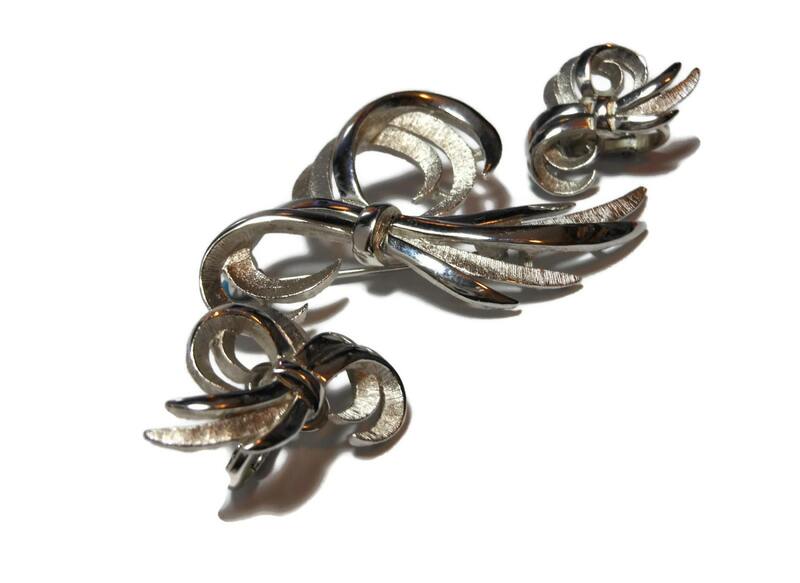 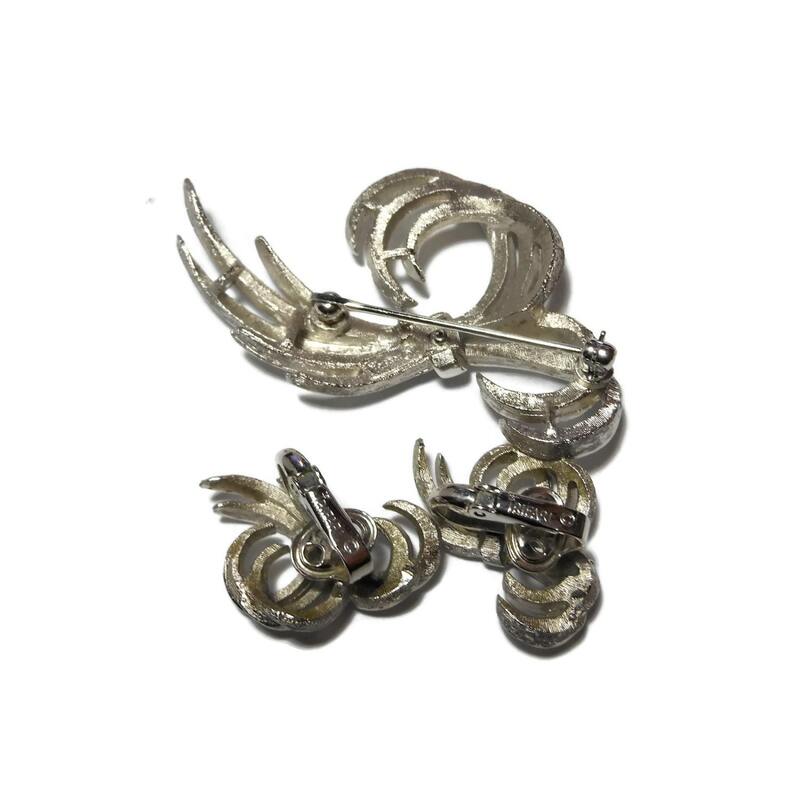 Crown Trifari brooch earrings, silver bows flash the light with the textured brushed effect and the satin trim of brooch and clip earrings! 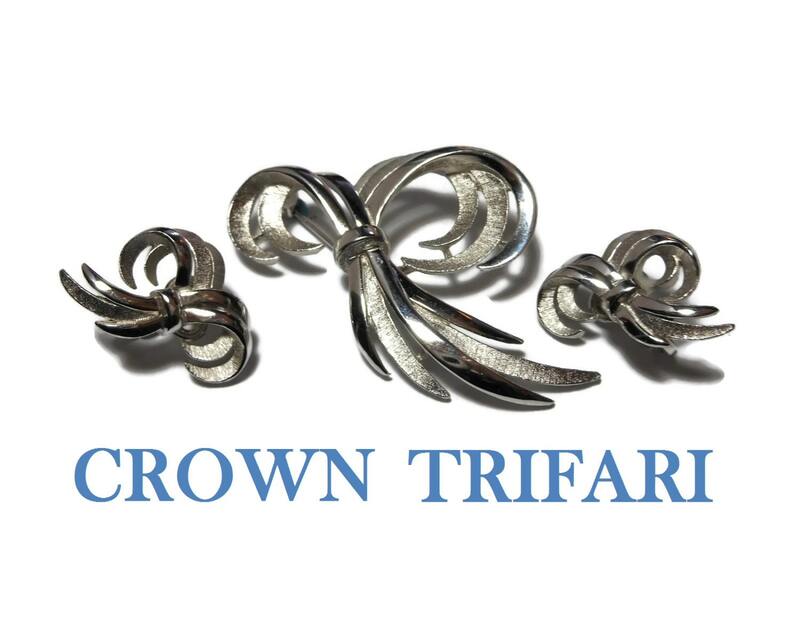 Made during the reign of famous designer Alfred Phillipe the Crown Trifari line will stay a classic. 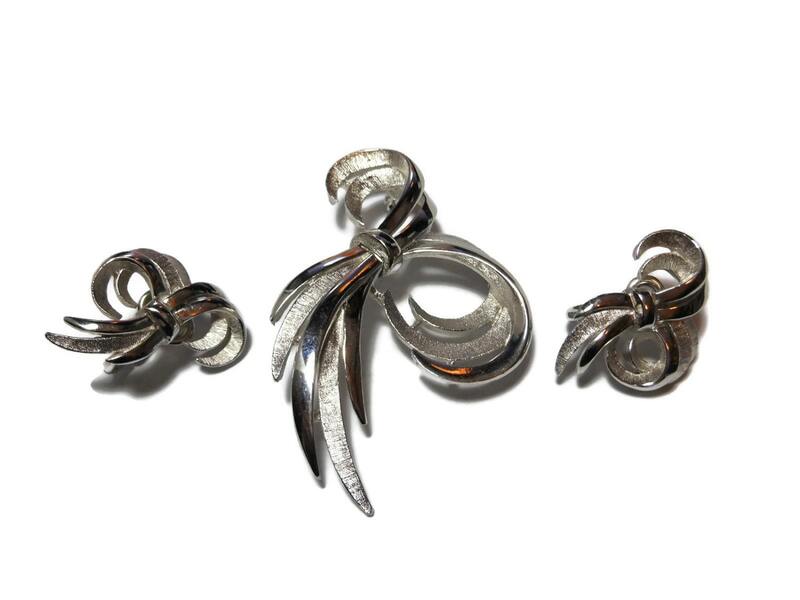 The brooch measures 1 3/4" (4.4 cm) X 1 3/4" (4.4 cm) and the earrings 1" (2.5 cm) X 1" (2.5 cm) and all are in very good vintage condition.